International Women’s Day is upon us—another example of how diversity and equal rights have dominated national news at historical levels for the past 12 months. A heated presidential election led to the public to engage in difficult, yet honest conversation about prejudices. Communities have united to march in record numbers, demanding a higher standard of equality from both the government and large corporations. 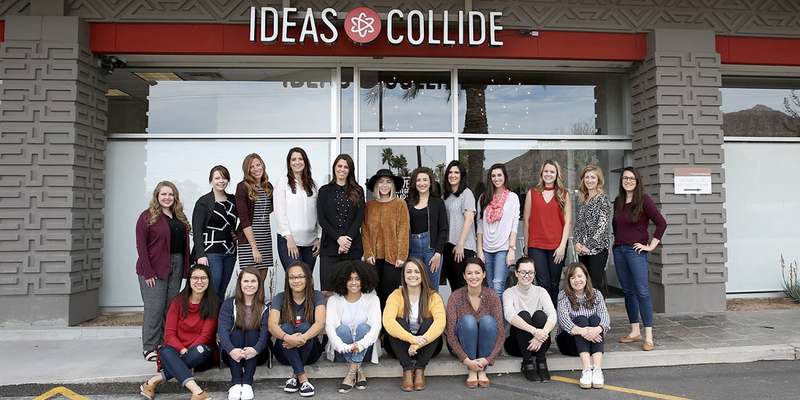 As a Latina woman born in Costa Rica, I am proud to be a founding partner of Ideas Collide. As we move into our 13thyear of operation, we’re growing faster than ever. I confidently echo Mr. Lucio’s message that racial and gender diversity are at the heart of a responsible, intelligent growth strategy. I am immensely blessed everyday by the unique and creative perspective brought to the table by our team of talented individuals. I recently attended an event in Los Angeles – the Unity and Inclusion in Tech Summit. While I had been to similar events before, finding a predictably homogenous group of people, I was delighted to find that this event was different. I was surrounded by people who, like me, came from distinct backgrounds and became advocates for people facing similar challenges in their personal and professional lives. In that moment, I felt the culture shifting. "Racial and gender diversity are at the heart of a responsible and intelligent growth strategy." I believe that things are changing. But this change didn’t, and won’t, occur on its own. Like HP, we must each take a stand in every aspect of our life, in the fight for equality. It’s not enough for our opinions to be hidden behind a veneer of professional caution and political correctness. Now is the time to be bold in demanding fairness. I was honored to receive the 2016 Athena Award alongside two women who were also born outside the U.S. Being an Athena is one of the greatest honors of my professional life and one of the greatest responsibilities I’ve ever been given. I am committed to working tirelessly to share opportunities I’ve been fortunate enough to have achieved– from opening the Phoenix chapter of Girls in Tech to the continued work alongside Athena Alliance to advance gender parity in the boardroom. I have always believed in one person’s ability to make a difference. No matter where you are in your career or what your background is, there will always be like-minded people who share your goals in creating equal opportunity for all. I urge you to take action in your local community. We are all in a position of power. I’ve watched revolutions occur and seen lives changed by advocacy. Let’s stand together to demand a seat at the table for every hard-working individual.